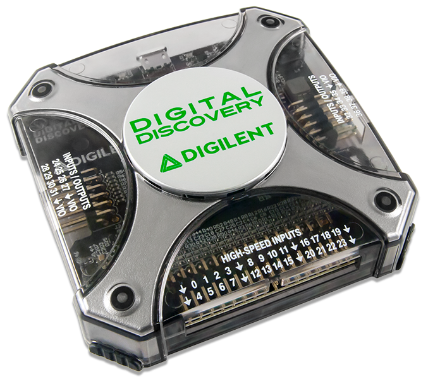 Yesterday we took a peek at some demo projects on DesignSpark with the Raspberry Pi and Pmod HAT Adapter, but today we are going to take a look at another awesome article from the site- A first look at the Digilent Digital Discovery! In this article, Karl Woodward reviews the Digital Discovery and provides a comprehensive rundown of its uses and features. He lists the specifications and then touches briefly on the WaveForms software, before delving into the applications of a logic analyzer. 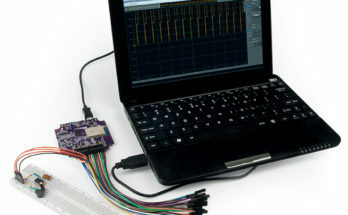 He explains the differences between a logic analyzer and an oscilloscope, and how logic analyzers are the best choice for tasks like decoding mass amounts of data. Next he talks about how flexible IO is vital in a device like the Digital Discovery, and how the device manages to achieve this flexibility due to some “clever input circuitry.” He then divulges what is, in his opinion, some of the most useful features of the Digital Discovery, the pattern generator and programmable power supply. Above is a project peek from the author and his team for the Chip Hack event based around the historic EDSAC computer. 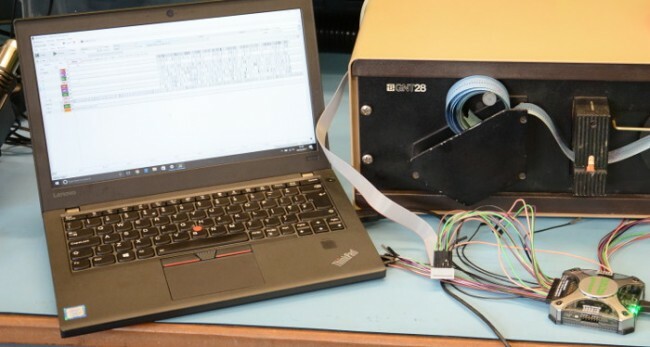 They are using the logic analyzer to decode the output of a punched tape reader to drive the electronics required to interface to a FPGA. He wraps up the article with a quote on his final thoughts regarding the Digital Discovery. 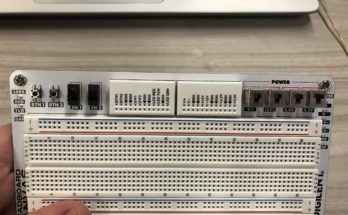 While there are many cheaper logic analyzers out there, they are unlikely to come close to the functionality of the Digital Discovery. It has quickly become a key part of our toolkit sitting alongside the trusty oscilloscope to give us the best of both worlds. Allowing both capture and output from a single device is a great addition to our debug capabilities and will be of much use in the future.